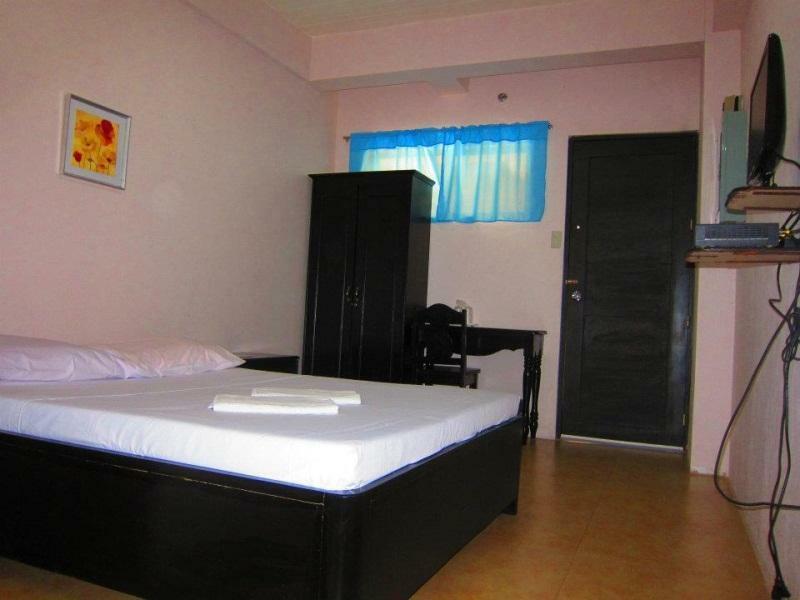 ﻿ JP227 Residences, Bacolod (Negros Occidental) - SAVE ON AGODA! Have a question for JP227 Residences? "Wifi area is good outside the room." "Jp227 is near calea which is awesome and 2 rides away from the ruins." "the veranda was nice enough to stay in." 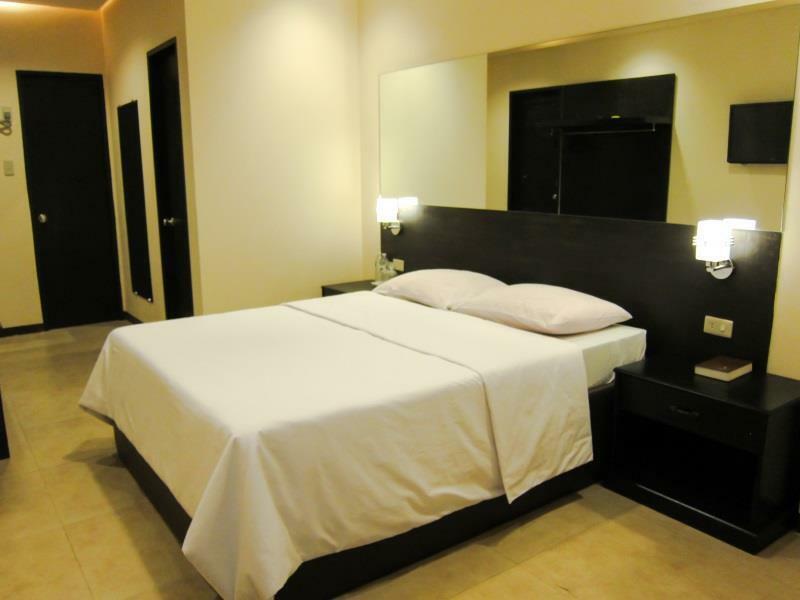 "Overall the place was nearby establishments and was quite co..."
Renovated in 2012, the JP227 Residences guarantees guests a pleasant stay whether in Bacolod (Negros Occidental) for business or pleasure. Situated only from the city center, guests are well located to enjoy the town's attractions and activities. No less exceptional is the hotel's easy access to the city's myriad attractions and landmarks, such as The Doctors' Hospital, Doctors Hospital, Gazebo Park. At JP227 Residences, the excellent service and superior facilities make for an unforgettable stay. Top features of the hotel include free Wi-Fi in all rooms, Wi-Fi in public areas, room service, restaurant, laundry service. Hotel accommodations have been carefully appointed to the highest degree of comfort and convenience. In some of the rooms, guests can find television LCD/plasma screen, internet access – wireless (complimentary), non smoking rooms, air conditioning, desk. The hotel's garden are ideal places to relax and unwind after a busy day. 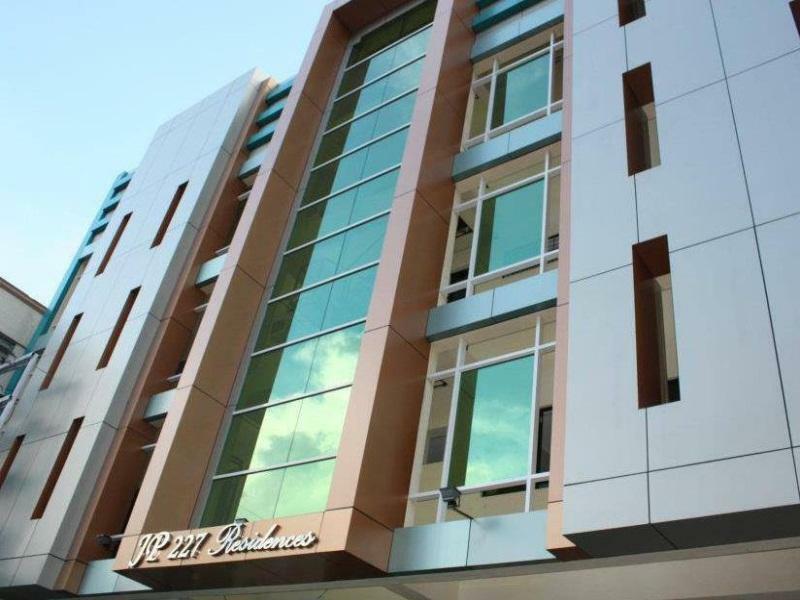 Whatever your reason for visiting Bacolod (Negros Occidental), the JP227 Residences is the perfect venue for an exhilarating and exciting break away. "The location is very accessible ." The whole place was okay. 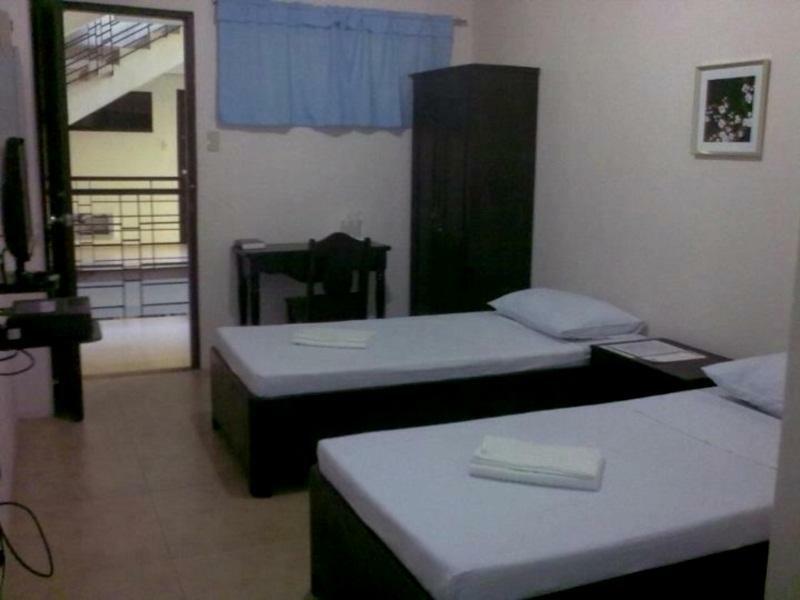 It seems to be a residential condo or apartment that have few rooms out for rental in agoda. The room was okay and looks clean but when we arrived it had the strong bad smell. We tried looking where it might be coming from but no luck. The sheets the bed the pillows smelled fine even the bathroom. The smell was notably familiar to a wet cloth that wasn't dried out properly and may have come from using a mop with dirty/used water to wipe the floors thus the smell. It was a fine stay though, aside from the smell cause we kinda got used to it and slept fine lol. Location: Great Location. Near Robinsons Supermarket and food establishments. Not too busy street. Near South and North Ceres Bus station. Staff: Average. Not to approachable Cleanliness and Facilities: Pillows and Bedsheets smells bad and it seems that it's not clean (with some dirt stains). Facilities are too old and needs some upgrade/renovation. Wifi area is good outside the room. No network signals (smart and globe) inside the room. Everything’s almost perfect. Sad to say they don’t have toiletries and water to drink. It was not up for a long term stay. Maybe for a night or two but diffinitely not for an extended stay. No amenities cable TV was in and out no high speed internet. No closet space for clothes, no work space, not enough outlets. Room service was no on a regular basis always has to ask for tissue paper never given bottle water like ad said. Staff was very nice especially Kathy I liked her very much. One problem they had to was too much Clorox in whites in burned my eyes when using the towels and bed sheets. I had to sleep on top of covers. I had to buy a cooler and ice daily to keep snacks and liquids cool. No refrigerator or place to keep anything of sort like it. You could not bring leftovers back to room for later. This was a bad choice for me as an extended stay on my part but only went by what the website recommended. Next time will use local information more on where to stay for longer visits. i used Agoda, for me to reserved a room early and a good room but what happened??? they gave me a room which i think that room is only reserve for walk in costumer or it was reserve for client last to come in for that said dates. too bad i dont like the room, bathroom are not clean, water supply are not suffiecient. Bad WIFI connection. bed and linen smells uncomfortable. The front desk is so kind to give me an early check in and somehow give me double bed room instead of a twin room. The location is very accessible . The ac is very well functioning as well as the hot and cold shower. However, the c.r. is so small but it's manageable. Also, on my second night someone tried to open my room, i think he mistaken my room for his. Further, the other room is noisy during night. I can hear them talk. Other than these comments. Everything is good. Rona or the one who assisted me is a very helpful staff in this hotel.She is totally a perfect as an adminstrative officer in this hotel. You feel comfortable to ask any help from her. If your looking for a budget hotel and not picky this is a place for you. Poor internet connectrion even your own WIFI. Location is very good easy access going to downtown.Jeeps are infront of the hotel. They allowed me to do an early check in. Overall the place was nearby establishments and was quite cozy. There's no mobile or internet or wifi signal inside the rooms. But the veranda was nice enough to stay in. jp227 is near calea which is awesome and 2 rides away from the ruins. The room given to us is big,clean and comfy, I love the hot shower! The tv just have 1 channel though,nevertheless my whole experience there is great! It's pretty easy to find. The landmark is the Doctor's Hospital which is across it. I requested for an early check in as I had an early arrival, and it was granted without questions. When I got to their business office, I was swiftly escorted to my room after filling up a short form and presenting my voucher. WiFi was pretty good and the hot shower worked quite well. A laundry area is within the same room for long-term guests. There's only two outlets, however, which was for the TV and cable box. So if you need to charge your phone or camera, you will need to unplug the TV. I have to extend my thanks to the security guard (forgot to get his name though) who advised me to try to get in touch with a van for hire to take me to the airport early morning the next day; otherwise I will have to pay a hefty price for a cab. While waiting for the van a few hours after, he stood by me along the road until I was picked up. I left at 4:45 AM on June 29. JP227 is a good place. It was hard to find at first, it isn't exactly a hotel, more of a condo? I asked around and eventually friendly people got me there. It is an average kind of place to stay, as far as decor and features. You can get a fancier hotel elsewhere for the same price. But the location is great, very close to La Salle University, and walking distance to Mc Donalds, Jolibee, Grace Drug, and other places around campus. The staff are very nice. I had no issues with anything, and I stayed a total of 4 nights. The wifi was slow at times, maybe because the resident students were all online too. From the friendly and well trained staff to the lovely vegetation filled atrium, this hotel speaks excellence. The low rates in NO WAY reflect the quality, comfort and liveability of this hotel. On site laundry, decent cafe, good restaurants within walking distance and a very well informed staff makes this an exceptional value for any traveler. We stayed here one night for Masskera. The rooms are new and very clean, all the utilities worked great. The towels had just a little bit of a weird odor, but nothing terrible given the experiences we've had in the Philippines, and probably were just brand new. The staff was very attentive and definitely were used to working with Agoda. The hotel is very clean..the rooms were so spacious... i love the plants outside and the location is great considering that its accessible to the nearby malls of Robinsons.